Hypnosis and mind power can help you make major changes in your life that may have eluded you up to now. Hypnosis is an altered state of being in which the mind becomes open to suggestion. It can be thought of as a gateway to self-realization. Hypnosis opens a path where the subconscious mind can be used for healing and personal transformation. When you are trying to make changes in your life, you may try to will a certain outcome. You may try to will yourself to quit smoking or to lose weight. Likewise, efforts to improve self-confidence sometimes fail, because you’re only reaching your conscious mind. The efforts you are making are genuine, but the results are disappointing. No matter how much you bring your conscious thoughts under control, you won’t attain the results you’re striving for unless you reach your subconscious mind as well. The subconscious mind is the root of things that you do that you don’t understand. You may keep smoking after the doctor tells you it’s dangerous. You may repeatedly get into destructive relationships. You may eat unhealthy foods and otherwise do things that are clearly not good for you. If your efforts to modify certain behavior patterns in yourself have been unsuccessful up to now, it’s time to try a different approach. Your most self-destructive habits can be changed using the power of hypnosis. In a hypnotic state , the body and mind are in a totally relaxed state, and the mind is not struggling against itself. In this relaxed state, it is capable of being fully concentrated on one thing and is open to suggestions at a subconscious level. 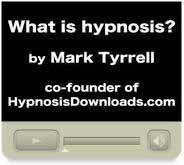 Hypnosis is a technique that has been used since the 19th century. A hypnotic state is similar to a dreamlike state. Your brainwaves function as if you are asleep, but you are actually awake. In this state, you are able to shut out outside stimuli and focus on only one thing. You are in a state of suggestibility and complete relaxation. In this state, your subconscious will accept suggestions being offered by the hypnotist, things that you might reject in a wakeful state. An example would be that you prefer vegetables over dessert. You may accept the suggestion that you dislike smoking, that you no longer like the taste of cigarettes and that they make you feel very ill.
Hypnosis and mind power techniques bypass the conscious mind and reach the subconscious mind, where true change is possible. These techniques can be used to conquer bad habits that have resisted genuine efforts to change. Other techniques that bypass the conscious mind and reach the subconscious mind include subliminal suggestions, affirmations and visualization. Hypnosis and mind power can be used to break lifelong bad habits and to overcome depression, panic attacks and phobias. These techniques can be used to increase your self-confidence, conquer shyness and otherwise help you get out of your own way on the path to success. If your efforts to reach certain goals have failed up to now, hypnosis and mind power may be the answer you’re looking for.